Bundesliga | Bayern Munich hoping to clinch Bundesliga title at the Allianz Arena - for the first time! Bayern Munich hoping to clinch Bundesliga title at the Allianz Arena - for the first time! It will be their 27th and their sixth successive, but it would also be their first if Bayern Munich finally break their Allianz Arena title curse against Borussia Dortmund on Saturday. The Meisterschale is almost within Bayern’s reach, but they still do not have its destiny entirely in their own hands and feet. Jupp Heynckes’ men need second-placed Schalke to drop points against Freiburg earlier on Saturday afternoon, and Bayern will then know that victory in Der Klassiker will crown them champions. If Domenico Tedesco’s men win they will poop the title party Ruhr neighbours Dortmund had themselves hoped to ruin before it even starts. But if the Fates all look kindly on Bayern, the night’s fireworks and festivities will be all the more memorable. 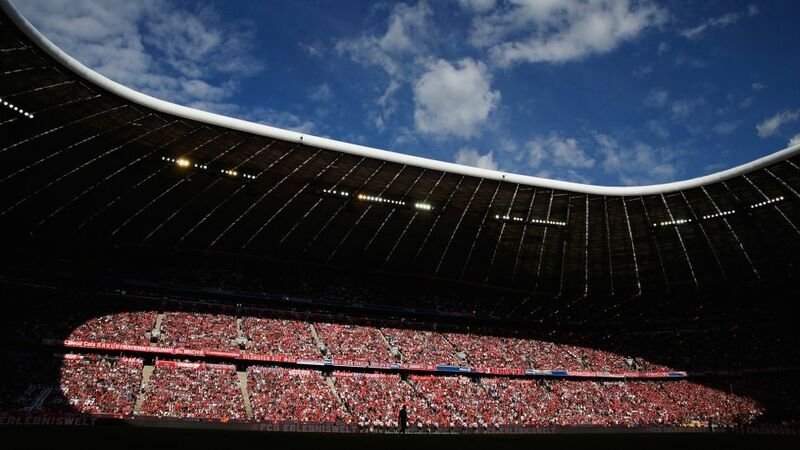 The Munich giants have won the Bundesliga on eight occasions since their Allianz Arena home was opened in 2005. Yet, incredibly, none of those triumphs has been clinched on home soil. In fact, the Bavarians have not claimed a major honour at all at their state-of-the-art home. The last time Bayern gave their fans something very special to cheer at the final whistle in their own stadium was in the 1999/2000 season. Ottmar Hitzfeld’s side defeated Werder Bremen 3-1 to pip Bayer Leverkusen to the title on goal difference, but that was in the Olympiastadion. No such magical day has dawned on the Allianz Arena. Not yet at least. Curiously, Bayern’s first five titles all came at home, the most dramatic of which was their second. The scene could not have been scripted better: the final day of the 1971/72 season, leaders Bayern, a point ahead of Schalke, host the Royal Blues, and sweep them away 5-1. Among the scorers are Paul Breitner, Franz Beckenbauer and current club president Uli Hoeneß. The scoreline was the same for Bayern’s maiden Bundesliga title in 1968/69 when Offenbacher Kickers were put to the sword, and Bayern have twice won 6-0 at home to wrap up a title — talk about doing it in style! One of those was the finale to the 1985/86 season against Borussia Mönchengladbach. There is a good chance Heynckes remembers that day: he was in the Gladbach dug-out!